As a former international supermodel, Maria Liberati never dreamed that she would go from being a fashion diva to a domestic diva. Ironically, while jet-setting off to modeling assignments around the world, Maria became closer to the simplicity of life and food in the country setting of her family’s vineyard in the mountains of central Italy. She began to experience the real tastes of food that she knew from her childhood. 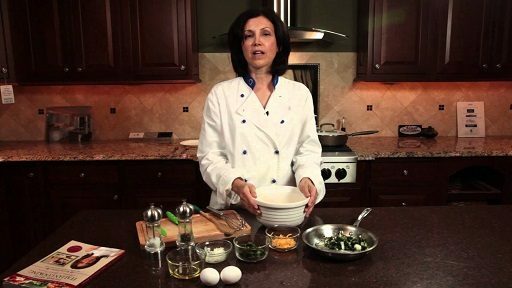 An Award-Winning cookbook’s author and Celebrity Chef -her passion with food began at the early age of 4, when she would accompany ‘nonno’ (grandfather) on his early morning Saturday trips to the Italian Market in Philadelphia to pick out all the fresh ingredients for the Sunday family meal. Years later, Maria was spotted by international artist Sergio Terzi (known as Nerone) and was asked to sit for a portrait at his studio in the Emilio-Romagna region of Italy. While sitting for this portrait, the months lingered on and Maria found herself spending more and more time at Nerone’s family farm nearby. 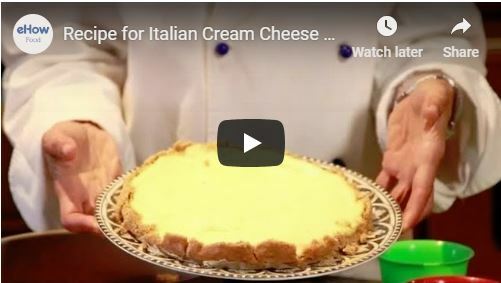 During her time there, she studied the art of making the famed Parmigiana-Reggiano cheese. When the painting was finished, it was exhibited all throughout the world including the Metropolitan Museum of Art where the painting and the artist were honored at a special ceremony for the contributions of Italians to the World. 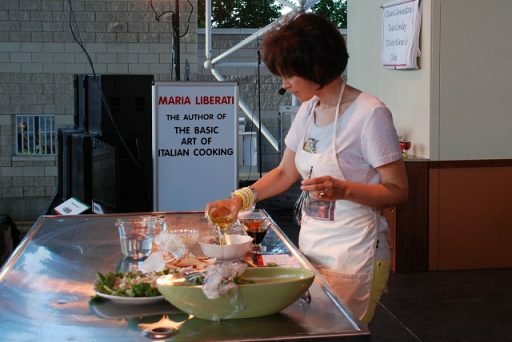 Today, Maria is considered one of the foremost experts on Italian Cuisine and culture, and has been called the Italian ’Martha Stewart’ (Celebrity Society magazine 06/06). 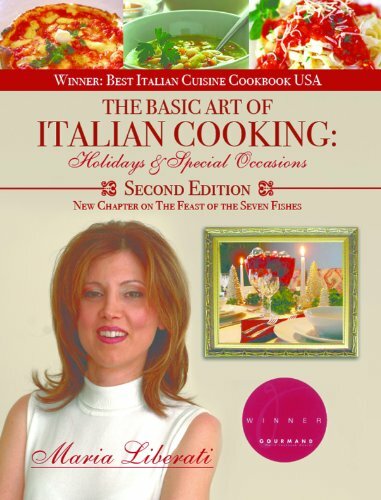 The Basic Art of Italian Cooking book series was awarded the Gourmand World Cookbook Awards in Paris, France. Tiziano Thomas Dossena: Maria, when and why did your passion for cooking develop into a full-time enterprise? 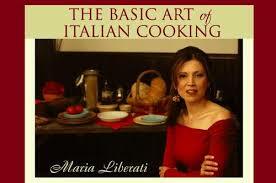 Maria Liberati: After I wrote my first book- The Basic Art of Italian Cooking- this became a full-time enterprise. The popularity of the book just took off, I had to create a blog, and I was getting asked to do book signings and appearances throughout the USA and at some places in Italy. The blog quickly grew to over 300,000 worldwide followers. Once I began doing TV appearances I was asked to create a TV series based on my book series. I am now working on my second TV series. Tiziano Thomas Dossena:: Could you tell us more about the concept of your culinary travel books? Maria Liberati: The concept for the book series was to create not just a book filled with recipes but a food experience. I always felt that food in Italy is not just about eating a meal but experiencing the meal Besides the awesome flavors, Italian food is so well loved because when you sit down to an Italian meal you are part of an experience that includes not only the food but the ambiance, the sentiment of eating together with good friends and/or family, and the history related to the ingredients and or the recipes. So the food evokes the senses in many ways. And I felt that a book of just Italian recipes did not really portray Italian food the way it should be; I wanted people to experience the recipes not just put a bunch of ingredients together. Therefore, I set out to create stories that related to the recipes and menus, so that people could experience Italian food. To truly enjoy Italian food, you should experience the food, not just eat it. Tiziano Thomas Dossena:: Is your Blog, The Basic Art of Italian Cooking by Maria Liberati tm at www.marialiberati.com, an integration to your books or is it something completely different? Maria Liberati: The blog was mainly created to be a companion to my book series, so it is mainly related to the book series but I also post about some other topics that may not be in the books. Food is related to so many things- art, travel, home, garden, history, music, architecture and I also combine those topics with food. Tiziano Thomas Dossena:: “Your Basic Art of…” books have a great success and are recognized as an important reference point as travel cooking books go, but you have now developed also other topics, such as Experiencing Venice, for example. What made you choose these new themes for these series of books? Maria Liberati: My philosophy is that there is an art to almost everything, so I am pairing that with select topics that fit in. Yes, so coming up will be other singular topics in that series, The Basic Art of Coffee, Cocktails, Pizza, Pasta, Creating a Tuscan Wedding, Experiencing Venice and more to come. Tiziano Thomas Dossena:: You have won many awards, among them the Gourmand World Award and the Culinary Travel Blog of the Year Award. Which one you felt was the most rewarding and why? Maria Liberati: Both awards were equally regarding, but if I had to pick one, I would say that the Gourmand World Cookbook ward that I received in Paris in 2010 was exciting. I was up against so many professional international chefs, it was truly an honor to know that a book I had worked so hard on was selected as best Italian Culinary book in the USA. Tiziano Thomas Dossena:: Maria, you are developing your own TV series for PBS. What is it going to be about? When will it be aired? 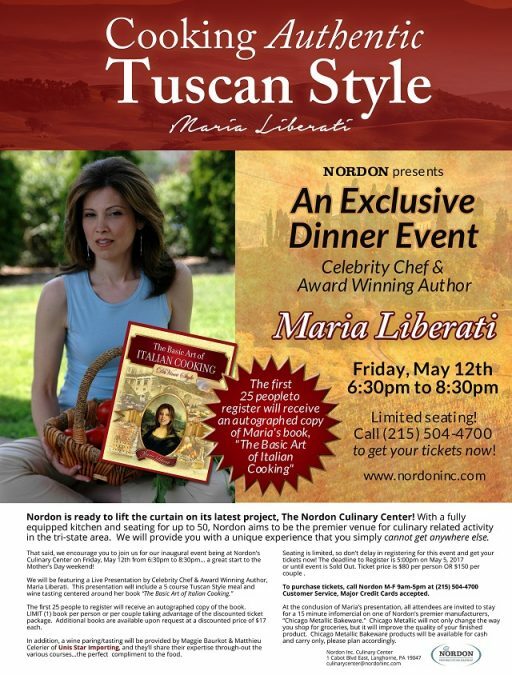 Maria Liberati: I did do a PBS series a few years ago that was based on my book series and filmed in Italy. 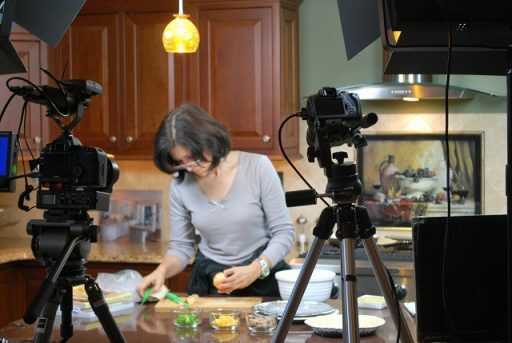 This new series that I may be developing will probably be done in a studio and will have guests cooking with me. That will air sometime in 2019. Tiziano Thomas Dossena:: Your Company, “The Basic Art of Italian Cooking by Maria Liberati,” organizes, hosts and caters corporate training culinary-themed events for Fortune 100 and 500 companies. Could you tell us more about that? 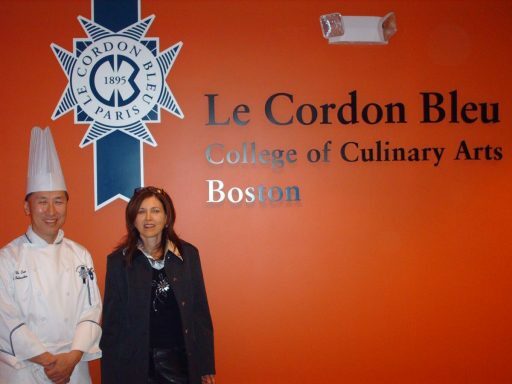 Maria Liberati: Corporate training culinary events are events that bring together employees in a culinary environment. They get to spend time away from the office and connect with fellow employees by cooking and eating with them. So I may have a menu of five courses and then divide a group of 30 employees into teams of 6 and each team has to prepare one recipe and then eat the courses that have been prepared together; this creates a collaboration environment they can take back to the office with them. 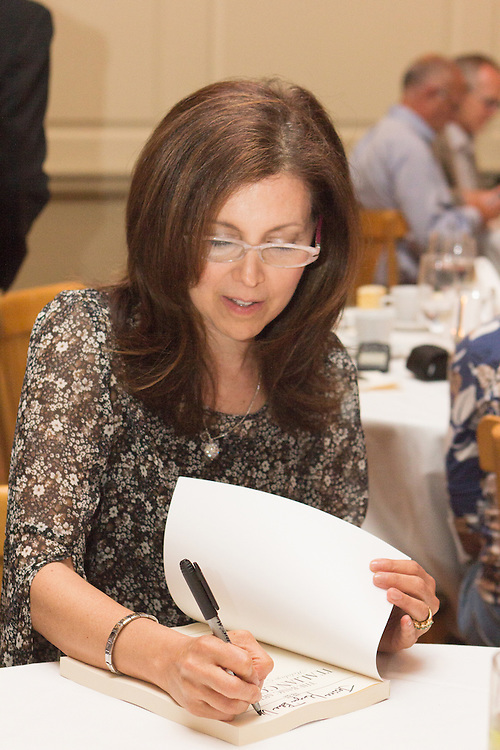 However, sometimes I am also asked to be the special guest at incentive meetings for salespeople, they receive a signed copy of my book and I may do a cooking presentation or other presentation on one of my books. Tiziano Thomas Dossena:: Your Company now has a line of food products. What are they? What makes them different? Maria Liberati: So far the products are a Pizza Sauce and a spice blend. 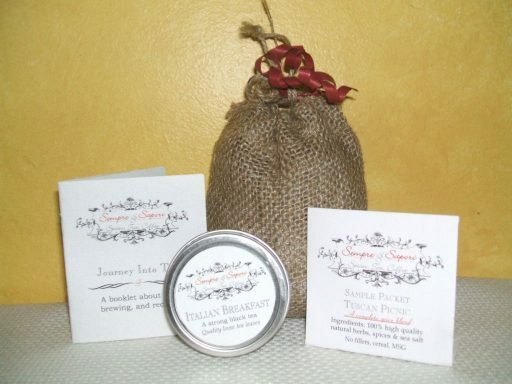 Both products use all natural ingredients but they also include a blend of spice blends I developed that incorporate many of the flavors used in Tuscan cooking. I am working on developing blends of spices that highlight the flavors used in different regions of Italy. I am currently developing other food products. Tiziano Thomas Dossena:: Are there other new book titles on the way? What about new projects, other than the PBS program? 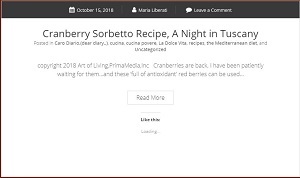 Maria Liberati: Yes I am collaborating with my favorite culinary school in Italy- Chef Academy in Terni (the town of St Valentine) on a book that will include their recipes and my stories from my blog. And, as mentioned, a new TV series, and a podcast. Tiziano Thomas Dossena:: If you could meet a personality from the past or the present, who would he or she be? What would you like to tell them and to ask them? Maria Liberati: If I had to choose one, it would most definitely be Leonardo DaVinci. One of his interests, and he had many talents and interests, was food. 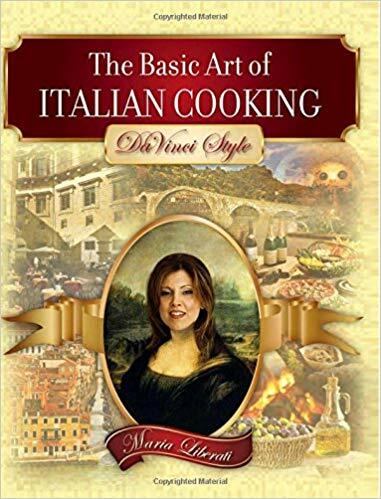 I researched DaVinci’s foodie life and wrote The Basic Art of Italian Cooking: DaVinci Style- which is about the different cities in Italy he lived in and what he created in each city as well as recipes from those regions. But I would like to ask him what would be his favorite meal to eat and to paint. Tiziano Thomas Dossena:: Maria, do you have a message for our Italian American readers? 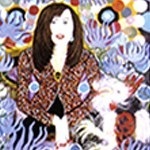 Maria Liberati: Yes, to keep your heritage alive and teach your children or grandchildren or nieces, nephews about it. We have such a rich heritage, and our ancestors made so many contributions to assisting in building the USA and invented so many of the things we use today in our daily life. But it is also really important to understand where our families came from to appreciate what we have today. Sunday dinners at my grandparents’ house always included stories and photos about their life in Italy. I didn’t truly understand anything about their life and where they came from until I had the opportunity to visit and then live in Italy and research so many things. I fell in love with my culture and history and that is why I created my book series. It afforded me the opportunity to work in and study the things I love the most. As Italian Americans, our life here in the USA is a result of so many years of hard work and drive and passion that our ancestors had. And if you can somehow teach that or convey that to your children it is truly a beautiful thing for them to understand and even aspire to keep their dreams alive.